ICEYE, a leader in synthetic-aperture radar (SAR) technology, now has an agreement with the Defense Innovation Unit Experimental (DIUx) to purchase airborne Earth Observation (EO) data support services from ICEYE U.S. The U.S. Department of Defense (DoD) launched DIUx in 2015 to build a bridge between commercial technological innovation and national security endeavors. Headquartered in Silicon Valley with offices in Boston, Austin, and the Pentagon, DIUx facilitates DoD’s efforts to identify and work with commercial companies, including ICEYE U.S., to help solve national defense problems. Earlier this year, ICEYE announced the firm’s expansion into the U.S. with an entity focused on delivering EO data in long-form to its current and prospective clients. ICEYE U.S. is also developing data analytics capabilities to support more varied industry specific services. The company also expand their operations into Warsaw, Poland, to further develop ICEYE’s operations and accelerate company growth. Tapping into the country’s deep and growing talent pool of engineers, ICEYE’s expansion into Warsaw is the company’s first office outside of its current headquarters in Espoo, Finland. 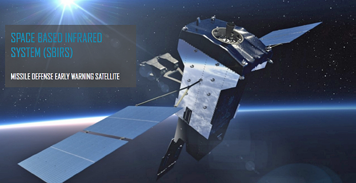 ICEYE’s Poland office, set to open later this year, will house one of ICEYE’s Mission Operations Centers to control communications with the satellite constellation. 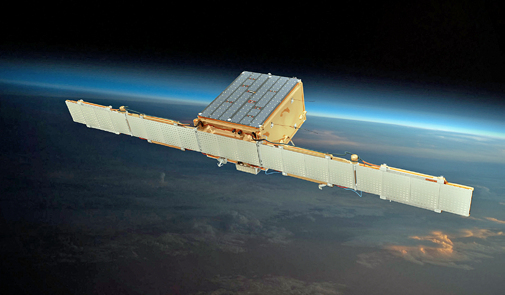 Coming on the heels of securing nearly $15M in funding just this year, ICEYE remains on track to be the first organization in the world to launch SAR smallsats. The U.S. Coast Guard, Honolulu Fire Department and Ocean Safety and Lifeguard Services crews conducted joint training on Oahu’s North Shore Tuesday ahead of the island’s famed annual high surf season. The three agencies are the primary responders to incidents in the nearly seven mile long surf zone off Oahu’s North Shore which draws surfers from all over the world every winter. The swell can reach heights of more than 30 feet and is very dangerous even for experienced surfers. 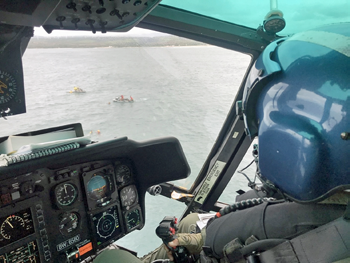 Two Coast Guard MH-65 Dolphin helicopters from Coast Guard Air Station Barbers Point, a Honolulu Fire Department helicopter and small boat crews and three Ocean Safety rescue craft operators participated in the event off Haleiwa. The focus was operating together to rescue a person in trouble in challenging high surf conditions. The crews worked to improve communication and practice hoisting techniques in and out of the surf while exposing each organization to the other’s capabilities. Residents and visitors alike are encouraged to check conditions prior to engaging in ocean activities. Lifeguards on scene can be spoken with and Ocean Safety maintains a database of current beach surf conditions at www.hawaiibeachsafety.com for all island coastlines including closures and alerts. All agencies support the current advice: When in doubt, don’t go out. However, if you are going out tell someone where you are going and when you’ll be back. Small emergency beacons have also come down in cost and fit in the pocket of your board shorts. Once activated, they use a satellite signal to alert responders to your location quickly and are extremely accurate. 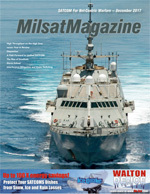 Story by Chief Petty Officer Sara Muir, U.S. Coast Guard District 14, Hawaii. Soldiers with the military occupation specialty Signal Support Systems Specialist, or 25U, are vital to the mission success of the 1st Security Force Assistance Brigade at Fort Benning, Georgia. Sgt. 1st Class Douglas King, communication section chief, 4th battalion, 1st Security Force Assistance Brigade, checks communication platforms during a brigade system validation exercise at Fort Benning, Georgia. The validation exercise was conducted to test the systems of the new equipment for the newly formed 1st SFAB. U.S. Army photo by Sgt. Joseph Truckley, 50th Public Affairs Detachment. SFABs are new brigades specifically trained and built to enable combatant commanders to accomplish theatre security objectives by training, advising, assisting, accompanying and enabling allied and partner indigenous security forces. Signal operations in a unit are primarily conducted solely by 25 series MOS’s. King said that he has never been in a unit where everybody is willing to get involved to help accomplish the mission. “There is a common understanding of the roles of everyone, and how important it is to work together,” King said, adding, “As a 25U our, role is to help our foreign counterparts as well as our teams to understand the significance of proper communication. During missions everyone will be spread out and ensuring those lines of communication are up and available will be our focus. As advisors to partner nation communications specialists, 25Us will assist with the best use of communication equipment, and developing plans for how to employ communications assets, said Sgt. 1st Class Charvis Phillips, from Roanoke, Alabama, senior communication chief, 2nd battalion, 1st SFAB. Phillips said as part of assisting in the development of plans they will advise their partners on dealing with factors such as the environment and terrain that could affect the range of voice and data communications. “There is a whole lot of hands-on training with new communication equipment,” said King. “There are systems we use here that throughout my 16 year military career that I have never used before. The exposure to all the different signal platforms that wouldn’t be available in the normal Army, is definitely a benefit to joining SFAB, said Phillips. During King’s prior assignment, he was a capability developer at Fort Huachuca, Arizona, where he was part of the future development of the Army’s network. Soldiers looking to volunteer for 1st SFAB should contact their branch manager. Schriever’s 3rd Space Operations Squadron directed a new mission for the Defense Satellite Communications System’s B7 satellite, providing improved communication for scientists at the National Science Foundation’s Amundsen-Scott Station at the South Pole. Twenty-one years after its launch, the DSCS III B7 satellite adopted its new mission of supporting communication efforts for the NSF’s remote base at the South Pole, increasing connectivity in an area where communication with the rest of the world has long been a challenge. The DSCS III B7 is a vast improvement over the NSF’s Geostationary Operational Environmental Satellite, increasing coverage time and bandwidth. Providing this extended coverage to a distant area such as the South Pole has drastically helped further the research of the scientists stationed there, said Bogue. The connectivity also links scientists to their loved ones, and has helped save lives. Artistic rendition of the U.S.A.F.’s DSCS B7 satellite. According to a Lockheed Martin press release, the satellite played a vital role in relaying telemedicine data for the medical evacuation of two NSF employees at the station who needed additional medical care. The incident is indicative of the reputation the DSCS III B7 has upheld after more than two decades of orbit. 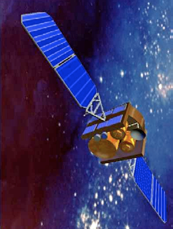 The Lockheed Martin-built satellite launched in July of 1995, with a 10-year design life, and continues today as part of the DSCS constellation, one of six DSCS satellites still in operation. 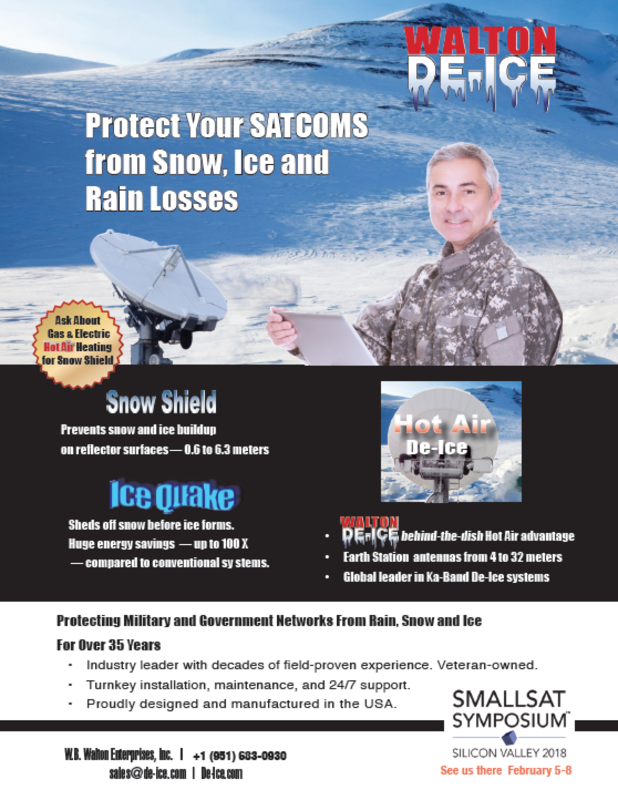 The proven success of the DSCS III B7 serves as a testament to advances made in satellite technology, providing connectivity for scientists in one of the most isolated regions of the world. Awaiting launch at Cape Canaveral Air Force Station, Florida, is the next Geosynchronous Earth Orbit (GEO) satellite for the Space Based Infrared System (SBIRS), shipped to the launch facility by the U.S. Air Force and Lockheed Martin. 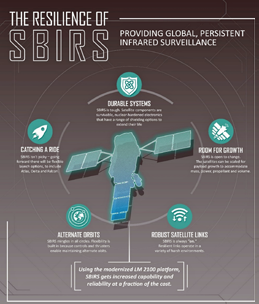 SBIRS enhances the military’s ability to detect missile launches, supports ballistic missile defense, expands technical intelligence gathering, and bolsters situational awareness on the battlefield. The Air Force’s next SBIRS satellite — GEO Flight 4 — is slated to launch in January of 2018 aboard a United Launch Alliance Atlas V rocket. The Air Force’s SBIRS includes a combination of satellites in GEO orbit and hosted payloads in Highly Elliptical Orbit (HEO). A robust, new ground control system serves as the nerve center for the entire constellation, collecting large amounts of data from the satellites’ powerful sensors and converting it into actionable reports for defense, intelligence and civil applications. Lockheed Martin manufactured the SBIRS GEO Flight 4 satellite at the firm’s Sunnyvale, California, facility. For the trip to Florida, the satellite rode in a Lockheed Martin-built C-5 Galaxy aircraft from nearby Moffett Federal Air Field in Sunnyvale, California. SBIRS GEO Flight 4 follows the Air Force’s GEO Flight 3 satellite, which launched on January 20, 2017, and in March sent its first images back down to Earth. The next SBIRS satellites, GEO-5 and GEO-6, currently in production, incorporate Lockheed Martin’s new, modernized LM 2100 spacecraft to reduce costs and cycle times, while improving resiliency and increasing the potential to incorporate future, modernized sensor suites. The SBIRS development team is led by the Remote Sensing Systems Directorate at the U.S.A.F. Space and Missile Systems Center, Los Angeles Air Force Base, California. Lockheed Martin Space Systems, Sunnyvale, California, is the SBIRS prime contractor, with Northrop Grumman Aerospace Systems, Azusa, California, as the payload integrator. 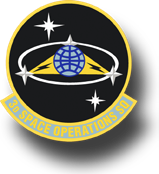 The 460th Space Wing, Buckley Air Force Base, Colorado, operates the SBIRS system.